Natalie Karp, MBA, CLTC and Rona Loshak, MBA, CLTC are highly accredited, award-winning specialists in Long Term Care (LTC) Insurance and ranked by the American Association of Long Term Care Insurers as top professionals in New York State and the country since 2009. In 2014, they were selected as a Goldman Sachs 10,000 Small Business. Natalie’s and Rona’s expertise includes: Traditional Long Term Care Insurance, State Partnership Plans, Hybrid Life/LTC plans, Life with LTC riders, Annuity contracts with LTC benefits, Financing LTC Insurance, positioning LTC Insurance for tax and estate advantages, and group, multi-life, and employer-sponsored plans. The duo is well-regarded for their educational platform and consultative approach. Recognized as a leading resource by the Wall Street Journal and Newsday for their knowledge of Long Term Care Insurance, Karp Loshak LTC Insurance Solutions provides valuable advice to consumers and professional advisors. 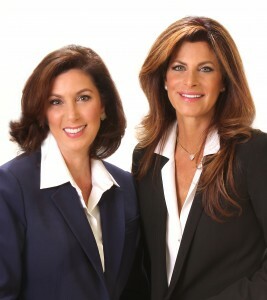 Active in advancing awareness of the issues surrounding long term care, both Natalie and Rona are adjunct professors at CW Post, Tax & Accounting Institute, LI University, in the subject area of long term care insurance. They are an approved NYS Sponsor of Professional Continuing Education Credits for attorneys and CPAs. Natalie and Rona help educate on concepts including the LTC Insurance pool of money, the true cost of self-insuring, why self-insuring costs you MORE, the new landscape, and legislation and tax incentives. Protecting a family’s lifestyle, retirement, independence, family relationships, and family wealth and estate planning are their sweet spots. The pair formed their company in 2008, recognizing the void in the marketplace for specialists in Long Term Care Insurance options. As adult children of widowed mothers, they represent the sandwich generation—those who care for children and aging parents. They saw first-hand the importance of planning ahead. For help with planning for long term care and getting educated on solutions that are appropriate, contact Natalie Karp or Rona Loshak at 516.801.1419 or email info@karploshak.com.